Registration begins January 15, 2019! 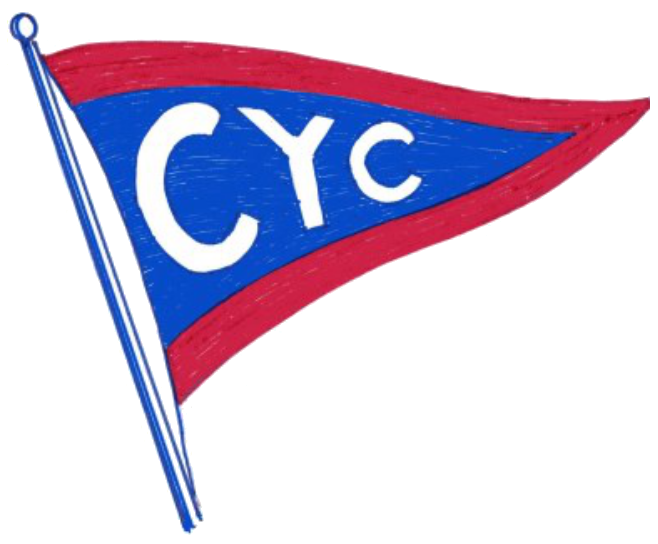 The Chelsea Yacht Club (CYC) Youth Sail Program for youths aged 8 to 18 provides instruction in recreational sailing and sailboat racing with a focus on safety, learning and fun. Youth Sailors build self-confidence and learn lifetime individual and team skills including boat handling, seamanship and water safety. Our U.S. Sailing trained counselors are certified in CPR and basic First Aid. They teach using curricula developed by the US Sailing Association and a variety of sailing dinghies including Optimists, Bic O’Pen’s, and Club 420’s. Each boat is sailed single-handed or by a two or three person team. There are six one-week full-day sessions for youths aged 10 to 18 and two one-week half-day sessions for children aged 8 and 9. All participants, especially new sailors, are strongly encouraged to attend a minimum of two consecutive sessions to reinforce their new skills and make the most of their experience. There is a $50.00 ($30 for half-day program) discount for the second and subsequent weeks of participation. Registration for part sessions (part weeks) is not available. All required course materials, including boats, are provided. Participants who own an appropriate boat may, with the permission of the Head Counselor, use their own boat in the program. There is a $25 per week discount for participants using their own boat throughout the program. Limited scholarships are available. Please contact the Youth Sail Registrar at 845-297-1852 for information. All full day sessions include a non-refundable $25 snack bar credit. The half-day program for children 8 and 9 years old is intended to give younger children a less intensive taste of sailing with greater individual attention. The half-day program is limited to 8 participants per session. Registration is limited by boat and counselor availability. CYC members and returning participants will be given slot preference until March 1, 2019. Every year some weeks sell out, so please register and place your $100 deposit early! To register: CLICK HERE to register using the RegPack registration system (create a userid and password, then logon and complete the application; last year's userid should still work). A $100 deposit is required when submitting your application; full payment is required by May 31, 2019. Full refunds, less $50, will be given for cancellations prior to June 1, 2019. After May 31, 2019, refunds will be given only if another sailor takes your place. No refunds will be given after July 1, 2019. If you are not able to register online or need assistance, please contact the Youth Sail Registrar at 845-297-1852 for assistance. For more information or any questions about the Youth Sail program, please contact CYC Director of Sailing Education Dan Halama at 845-424-6266 or dhalama@optonline.net. Ice Cream Social and Rain Gutter Regatta: March 16, 2019: You, your family and friends interested in the Youth Sail program are invited to attend CYC’s free Annual Ice Cream Social (2:00 pm to 3:00 pm), the free Rain Gutter Regatta (3:00 p.m.) and the Corned Beef Dinner (a CYC Youth Sail Fund Raiser following the regatta). For more information about the Rain Gutter Regatta and Corned Beef Dinner, please go to http://www.chelseayacht.org/raingutterregatta.html or contact Mike Colucci at 914-474-0163 or asax123@yahoo.com. Parent Orientation: Tuesday June 11, 2019: Every parent and youth participant should attend the initial orientation program to be held Tuesday June 11, 2019 starting at 5:30 pm with a free barbecue. An overview of the 2019 Youth Sail Program will be given. Pancake Breakfast: The annual Youth Sail Pancake Breakfast is held on Sunday of Memorial Day Weekend (May 26, 2019) from 9:00 am to 12:00 Noon. This fund-raiser is held to allow youth sailors and their families to meet and get to know other youth sailors, their families and club members outside the Youth Sail Program. All youth sailors and families are strongly encouraged to attend and youth sailors are encouraged to assist in set-up and serving for at least one to two hours during this event. End of Season Regatta/Barbecue: This year the Youth Sail Regatta/Barbecue will be held one week earlier than in the past. It will be held starting at 9:00 am on Saturday, August 3, 2019, the Saturday of the weekend between week 5 and week 6. All youth sailors who have or will participate during any session this season and their families are invited and encouraged to come and enjoy the fun. In case there is no wind that day, the barbecue will still be held. Parent Participation: Although not all of the program will be watchable from shore, parents of youth sailors are welcome to attend and watch the program (coaching of youth sailors and counselors by parents is not allowed). Parents are encouraged to volunteer at the snack bar or as a Parent of the Day. Please contact the Youth Sail Registrar (845-297-1852) for more information and to get on the volunteer schedule. Life Jackets (PFD’s) and Swim Test: All youth sailors will be required to bring and wear an appropriate Coast Guard approved Personal Flotation Device (PFD or life jacket) while on docks and on the water, and while close to the water’s edge. All new youth sailors are required to take and pass a swim test on the first day they attend. Clothing: Youth sailors must wear closed-toe shoes at all times on land and on the water, wear clothing appropriate for the conditions each day and be prepared for changing conditions. Youth sailors should bring sunscreen, a dry towel, a change of clothing, and a sweatshirt or light jacket every day. Drop Off and Pick up Times: Program hours are 9:00 am to 4:00 pm Monday through Friday (9:00 am to 12:00 noon for half-day sessions). Everyone should arrive early enough to be ready to start at 9:00 am. All youth sailors must be signed in and signed out every day by a parent/guardian with the youth sailor present. In case an emergency prevents you from picking your child up on time, please contact the Chelsea Yacht Club at 845-831-7245, the Director of Sailing Education, Dan Halama at 845-519-4990, or the Head Counselor, Mike Colucci at 914-474-0163 as soon as possible.